Each item comes individually encapsulated. The Australian Kangaroo Coin is produced by the Perth Mint in Australia. 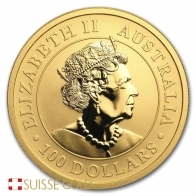 Initially it was released as a 'Gold Nugget' coin, in 1986. 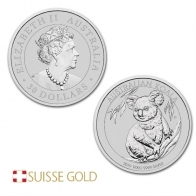 However, in 1989, the design of these coins was changed to a Kangaroo instead. 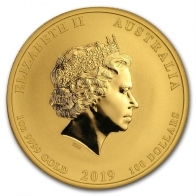 The front of the coin features an image of Queen Elizabeth II, and the reverse features an image of a Kangaroo. The image of the Kangaroo is updated each year. The Perth Mint is most famous for producing its Kangaroo series of coins, and also its Lunar series, which depicts a different animal from the Chinese calendar each year. 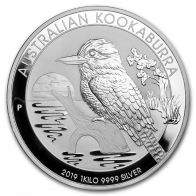 In 2016, the Perth Mint also introduced the Kangaroo coin in silver, and in 2017 it was also introduced in platinum. The Gold Australian Kangaroo coin is produced in a variety of sizes, but the most popular are 1/10 oz, 1/4 oz, 1/2 oz and 1 oz sizes. Each coin comes in a plastic slip or capsule.